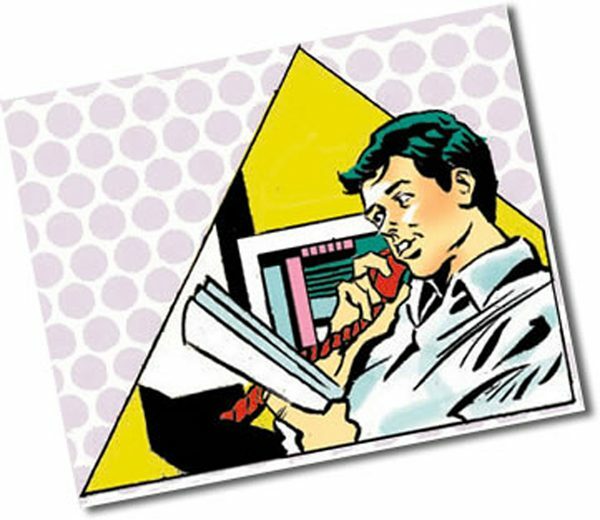 A rep is on the phone ordering a classic paper that won’t crack when bent or folded. This image formed part of an unfolding strip in the form of an “origami style” mailer. A great idea. Enjoy!